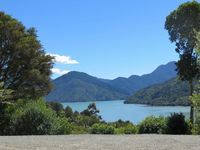 Property 14: Fantail's Haven - Fantastic private holiday home! Property 24: Quiet location. 5 minutes walk to town. 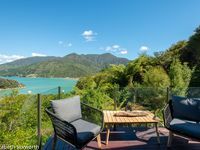 Property 35: The PICK of PICTON - luxury modern apartment. Rating Details: The property manager was very helpful. The vacation rental was spotless. I was very happy with the location. I was very satisfied with the condition of the vacation rental. Overall, I recommend this vacation rental. Reviewer Comments: Full equiped, very romantic place, 2 difficulties no power unless by the generator and long an narrow road to go there, but you can take a water taxi, excellent restaurant near the house.